We celebrate the joyous occasion of Christ’s birth in many different ways — beautifully wrapped gifts, decorated trees, candlelight services, delicious meals — and, of course, with music! This year, there are some wonderful new offerings from within the Homecoming family, perfect to hum along with as you deck the halls, bake a pie or simply snuggle up with a cup of cocoa and enjoy the sparkling lights on the tree. The Collingsworth Family has had an exciting fall already, having won Musician of the Year (Kim Collingsworth) and Favorite Mixed Group at the NQC Music Awards. Now, they are excited to present Feels Like Christmas (StowTown Records), their first full-scale Christmas production as a group. The warm, intricate harmonies were arranged by Kim Collingsworth and Wayne Haun. Kim also arranged the instrumental pieces, then hired Grammy and Dove Award winner David Clydesdale to produce the orchestral accompaniment, adding another layer of richness to the already lush vocals. You can’t go wrong with classics, and several nd a home among the 13 songs on this CD —“Winter Wonderland,” “It’s the Most Wonderful Time of the Year,” “Silent Night” and more, evoking a sense of nostalgia for Christmases gone by. Also included is a very touching original song, “Peace on Earth Tonight,” written by Kim and her brother Troy, to honor our nation’s military. When the Collingsworths performed the song in 2003 during a Christmas visit to troops in Kosovo (including Kim’s brother Staff Sergeant Brian Keaton), Phil reports that there was not a dry eye in the house — even the brigadier general in charge of all eastern European forces had tears rolling down his cheeks. The DVD of Feels Like Christmas features 15 selections, including two medleys, and it was lmed live before a sold-out crowd in Cincinnati, Ohio. The Collingsworths faced some unexpected excitement on the evening of the concert, according to Phil. “We were just about to start the filming with the audience when the re alarms all went off and we had to empty the auditorium. Needless to say, it was an adventurous evening!” Disruptions notwithstanding, Feels Like Christmas will be a classy addition to anyone’s holiday collection. 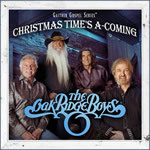 The Oak Ridge Boys are ringing in the holiday with Christmas Time’s A-Coming (Gaither Gospel Series), produced by Ben Isaacs. “The Oak Ridge Boys love Christmas!”enthuses lead singer Duane Allen, and you can hear it in this country-flavored collection of 12 new and traditional yuletide tunes showcasing the Oaks’ down-home harmonies. The album includes singalong favorites such as “White Christmas,” “Santa Claus is Coming to Town” and “Let It Snow! Let It Snow! Let It Snow!,” along with the modern classic “Mary, Did You Know?” and newer tunes like the witty “Peterbilt Sleigh” and heartfelt “Getting Ready for a Baby.” The three-part harmony of Duane, Joe and William is wrapped in the warm blanket of Richard’s bass, making it feel as though these four guys are sitting right in the room with you, singing around a crackling replace. The Oaks kick off their annual Christmas tour in November, and they are excited to celebrate with audiences across the U.S. Says Duane, “For us, Christmas is about family, home, singing, happiness, love, kids and gifts. But the main thing Christmas is about is the birth of Jesus Christ. So, although we love singing the fun songs, the spiritual songs about the birth are very real for the Oak Ridge Boys.” Christmas Time’s A-Coming is available in stores and online, with an extended version featuring bonus songs “I’ll Be Home for Christmas” and “The Christmas Song” sold exclusively at Cracker Barrel. 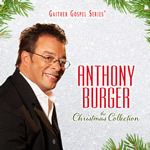 For fans of the Homecoming family’s late piano virtuoso, Anthony Burger, hearing his fingers flying once more on The Christmas Collection (EMI CMG) is sure to bring back sweet memories. Equally at home playing Broadway show tunes, classical compositions or the vast repertoire of Gaither Homecoming songs, Anthony commanded the stage with his keyboard acrobatics. Now, his remarkable gift can still be enjoyed as he plays 24 timeless carols including “Away In a Manger,” “God Rest Ye Merry Gentlemen,” “The First Noel” and many more. His musical legacy continues to bring joy to listeners through treasures like The Christmas Collection. 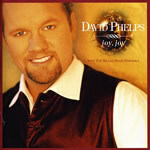 Spring Hill Music presents a 12th anniversary re-release of David Phelps’ buoyant Joy, Joy, featuring David’s showstopping vocals accompanied by the clear, crisp sounds of Chicago’s Millar Brass Ensemble. 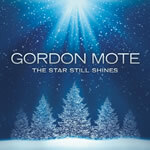 If this album is not part of your Christmas collection, it should be! David’s newest release, however, is the amazing Classic, offered both as a CD and as a DVD taped live in Franklin, Tennessee. The CD includes 13 selections, while the DVD is a 100-minute musical feast, containing a full 20 songs ranging from classical selections to beloved hymns to inspirational favorites. While not an album of Christmas music, the project ts well within the joyful and reverent feel of the season, with offerings including David’s haunting interpretation of “Ave Maria,” an upbeat “Joyful, Joyful We Adore Thee” and the nostalgic “What a Wonderful World.” A favorite on the Homecoming tour, Giacomo Puccini’s “Nessun Dorma” allows David’s gorgeous tenor to simply soar, and should be voted “most likely to cause goosebumps.” Those who appreciate great music will be pleased indeed to nd these gifts under their tree. 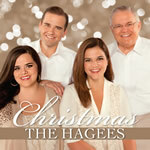 The Hagees are pleased to present their very first Christmas album, produced by Michael Sykes and Aaron Crabb and aptly titled Christmas (Difference Media). 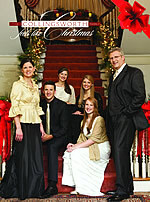 In addition to classic seasonal hymns like “Silent Night,” Christmas also includes retro favorites such as “Blue Christmas,” made popular by Elvis Presley, and “The Christmas Song.” Matthew Hagee and Aaron Wilburn teamed up to write an original song, “Glory to God,” and the rst radio single, a rendition of “A Baby Changes Everything,” is sure to be a standout. One of the best things about the Homecoming concerts and videos is the chance to hear so many great artists in one place. 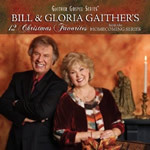 If you agree, then Bill & Gloria Gaither’s 12 Christmas Favorites might be a great pick for you. Enjoy the sounds of the Gaither Vocal Band, Jake Hess, the Booth Brothers, David Phelps, Mark Lowry, Ben Speer and others singing your favorite Christmas tunes including “O Little Town of Bethlehem,” “Winter Wonderland” and “Mary, Did You Know?” Lynda Randle’s warm, larger-than-life alto rings out on “Go Tell It On the Mountain,” while Larry Ford’s rich tenor soars in “O Come, All Ye Faithful.” You’ll enjoy pulling this CD out year after year, when December arrives. 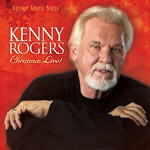 Two more new albums make the list of our top Christmas picks this year: The talented Kenny Rogers adds to the holiday cheer with Kenny Rogers Christmas Live! 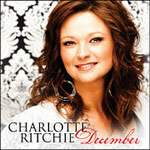 (Gaither Music Group). And Charlotte Ritchie’s velvety vocals can be heard on her new Christmas CD, December (Jane’s Girl Music), a beautiful collection of songs infused with a big-band influence. Whatever your musical taste, you are sure to find something among this year’s bounty of Christmas albums to put a smile on your face. God has blessed His children with the gift of music, and Christmas songs have a unique power to unite — to join voices together in harmony, to knit hearts together through memories, and to gather our spirits together as we celebrate the blessing of the Incarnation each year. 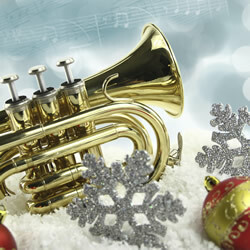 May you be richly blessed this Christmas, as you add your own voice to the songs of the season.